Hello, we are totally new to the Vinyl Cutter world and just bought a used Zing Air. The only problem we have is that the driver download link is broken. Does anyone know of a working link or does anyone perhaps have a copy of the driver that they could share? Appears to be working for me ? There will be more details in the User Manual found at the link above shared by Sandy. If using SCAL - please advise. When I click the link that is supposed to go to the driver file I get the following errors. I've tried Internet Explorer, Fire Fox and Google Chrome all with the same result. 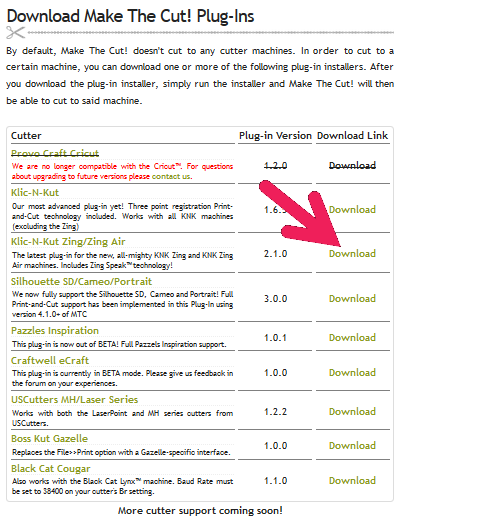 Are you all able to click it and download the file? Trying to attach the screen shots but for some reason it doesn't look like they are showing up. Internet Explorer says: "This Page Can't Be Displayed, make sure the web address http://s3.amazonaws.com is correct". FireFox says: "Unable to Connect, FireFox can't establish as connection to the server s3.amazonaws.com"
I doubt very much that you broke your cutter. You'll need your own liscence of MTC or SCAL 4 or 5 though. Try downloading and then saving the executable file to your computer first before launching it by clicking. http://s3.amazonaws.com/makethecut/MTCPlugins/ZingInstall.exe (from crazy Mr. Zing) and then the drivers https://www.ftdichip.com/Drivers/D2XX.htm (from Liz) or inside the MTC program itself under help. Maybe its your anti virus blocking it because it and exe file ? Sounds like Crazy Mr Zing may have a good thing to check on, but also it could be your computer. Have you restarted it lately? Thanks Everyone for the help with this! I did disable both the Virus Program and Firewall with the same issue that the pages would not load. However, Crazy_Mr_Zing - your cloud upload did work! Thank you so much for that! Over the next few days we are going to start reading and learning before we even think about firing it up to make sure we don't break something! Thank you all again for your help! We truly do appreciate it!